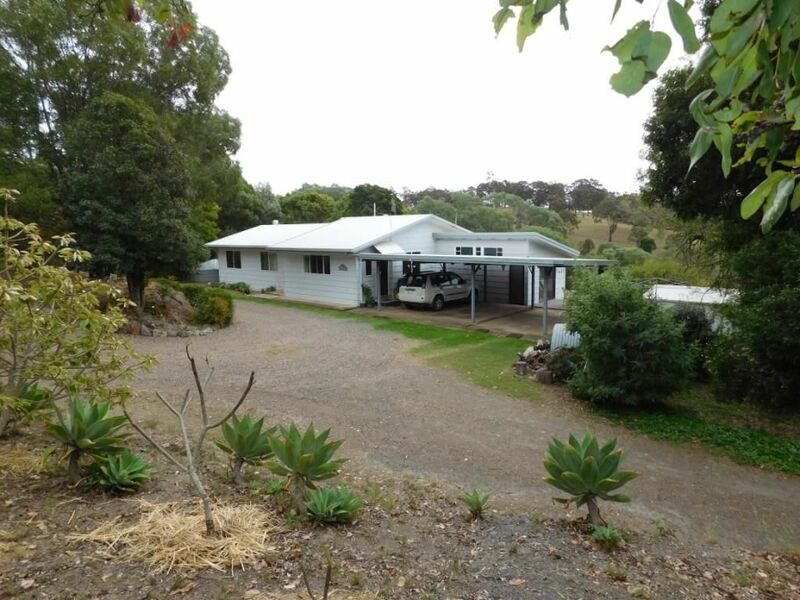 Just over six acres set in a premium high and dry area of Nanango. The main house has three built in bedrooms, modern bathroom with shower and two toilets. Large lounge with split system air and wood heater, separate dining area and modern kitchen with pantry, island bench and gas cooking.Great sunroom that could be a fourth bedroom/office or craft room.Rear deck has lovely views over surrounding countryside. Further down the property is a granny flat which needs a little work to finish but has it’s own kitchen, shower water and power. Large metal shed/workshop is fitted with power. An excellent property worth your inspection.